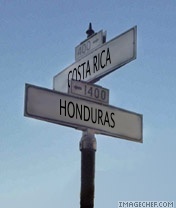 So, here we sit, only two weeks until we leave Costa Rica and fly to Honduras. It is so odd. For over three years we have been planning for the day we step foot on Honduras soil and start our ministry work. That day is June 25th. Everything behind us has prepared us for that moment…everything ahead of us is why we were born. We sold our house in July ’06, quit our jobs in December ’06 and moved to Costa Rica in August ’07. From friends, family and casual acquaintances we have received responses ranging from – “Wow, you guys are incredible.” to, “What are you crazy? 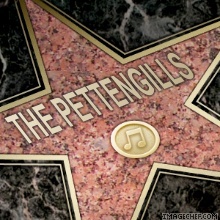 Why would you do that?” The truth sits in the middle, but, we believe going was our only option. When God says, “Go”, it doesn’t take a smart man, a brave man or a pious man to say, “ok”. We have been asked many times, “What does failure in Honduras look like?” There is no failure. If you seek God’s glory, hear His calling, pray for His guidance, follow His leading, and constantly work to implement His plan…how can you fail? His plan is perfect. Even if your experience results in your death or coming home early, but, you sought His glory in every step, you have not failed. 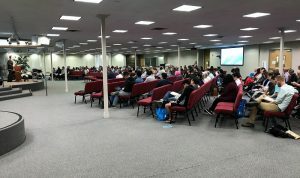 One of the most exciting parts about what we have seen is that God has surrounded us with over 700 prayer partners and over 140 financial supporters. 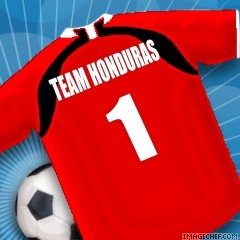 These people are Team Honduras. God has called each of us to participate in the Great Commission. God calls us all to go (be missionaries) or send (support missionaries). Our work simply does not take place without the sacrifice of others. Each prayer and check writer is just as responsible for what happens in Honduras as we are. When it is all over we do not want anyone to say that we were good people or self-sacrificing. We are not in it for us. We believe that we have sacrificed nothing. Everything we had was given to us by God, so giving it up to do what He called us to do is no sacrifice. We only do what we are all called to do – listen and obey. It is for God’s glory that we take every step and for God’s glory we applaud.